If you are facing drainage problems on your property, you need the help of the professionals to provide the right solutions. If you are looking for an experienced and reputable company to provide landscape drainage solutions for your home or commercial property, we can help. It is very important to take care of any drainage issues before they turn ugly and require large and expensive repairs. You can rely on our trained technicians to assess your property and provide the right drainage solutions for your home or business. The installation and placement of your downspout drainage should be positioned away from the foundation of the home. This will ensure no water collects around the foundation of your home or business, causing damage. With us as the company taking care of your downspout drainage system, you need not worry about anything. 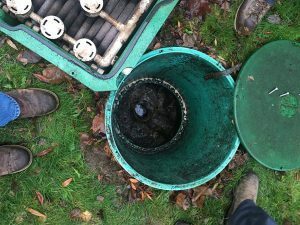 We will ensure that all pipes and drains are well connected and thoroughly installed so that they perform as designed. 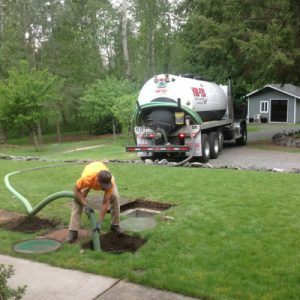 When it is about the safety and hygiene of your home, you want the best company to handle the task of drain installation. As there are several companies offering curtain drain installation services in Bonney Lake, choosing the best can be a daunting task. Depending upon the slope and size of your property we will install the curtain drain specifically where it will perform the best. Only experienced companies can guarantee that. Not only that but you will receive an estimate of all the costs involved before any work is begun. Our work will fit your time schedule and your budget. 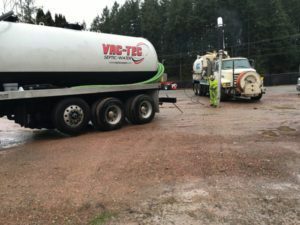 You can call Vac-Tec LLC at (253) 777-4887 to learn more about the services we offer for drains and gutters in Bonney Lake.